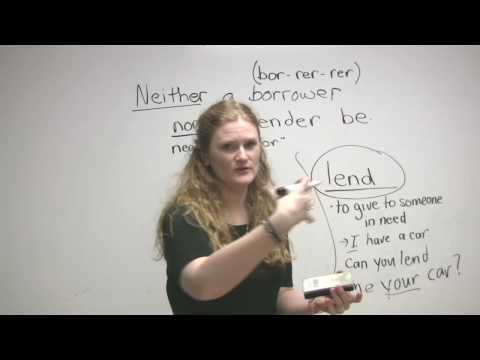 http://www.engvid.com/ This lesson teaches you how to these words properly in English: borrow, lend, rent, and use. Students often confuse these words. I explain which word to use where!